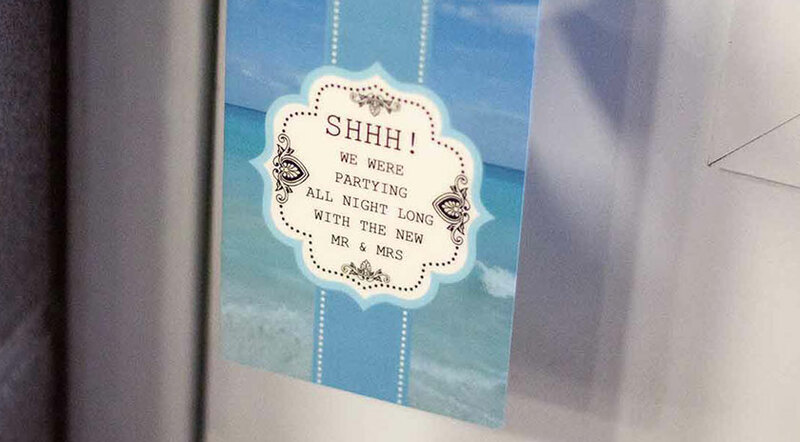 Custom Plastic Door Hangers | Plastic Printers, Inc. 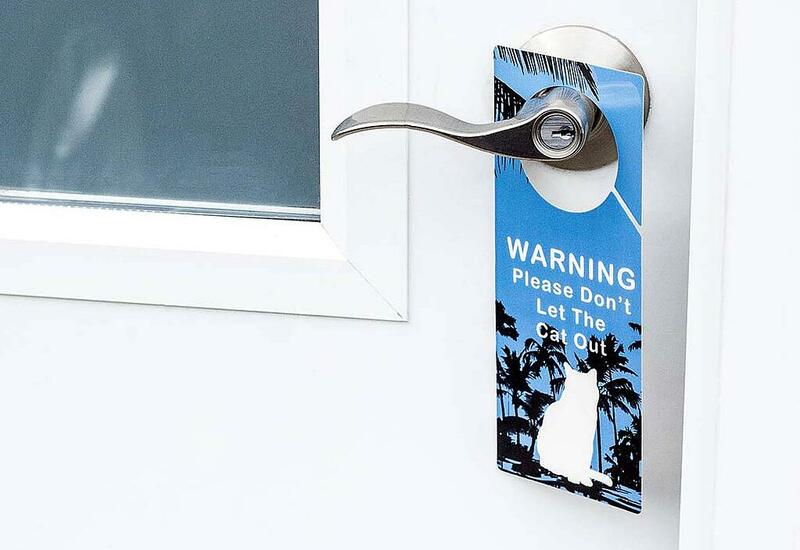 Door hangers are an excellent promotional product, as well as most commonly known for requesting privacy in a hotel room or useful as a Do Not Disturb sign. 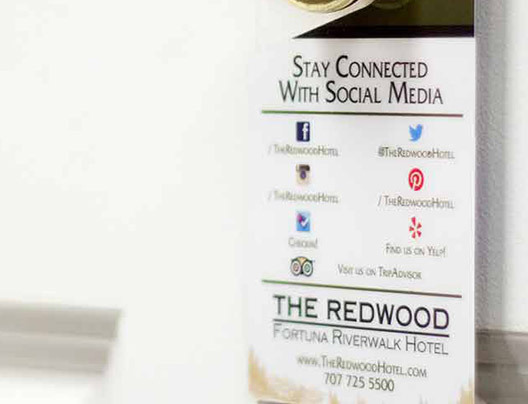 Door hangers can be customized with a specific brand, event or purpose in mind. 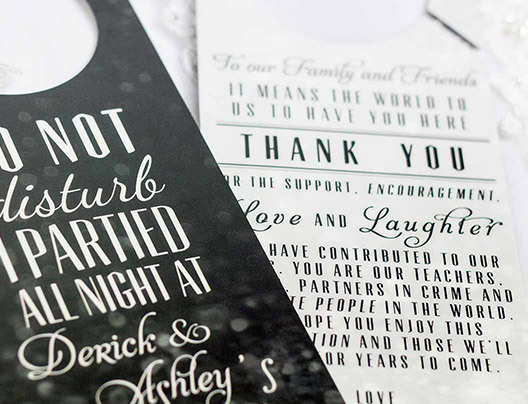 Creatively used for weddings, corporate and special events, at resorts as a special take home for your guest, or more often used as warning signs, for marketing or promoting your business, door knocking, political campaigns, appointment setting for installations and so much more. 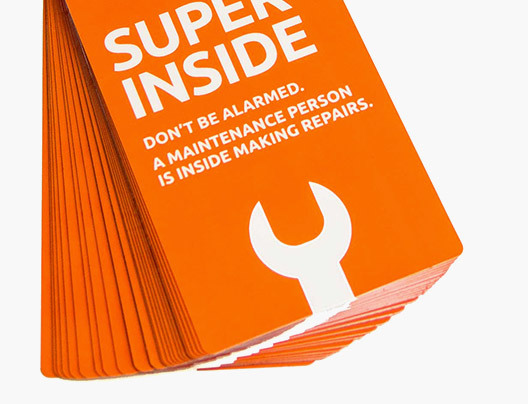 Custom door hangers are often used to label hazardous work areas, chemicals or to prevent entry when someone is occupying space or working. Whether you need actual signs or door hangers we can assist with your needs. 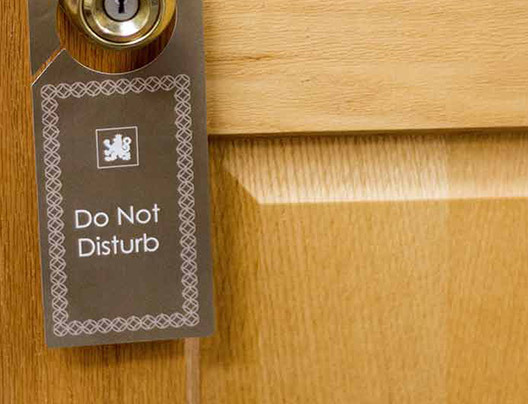 Commonly they are placed on hotel room doors, and can be combined with cleaning needs or an ad on the flip side. Thank you to your Guests! 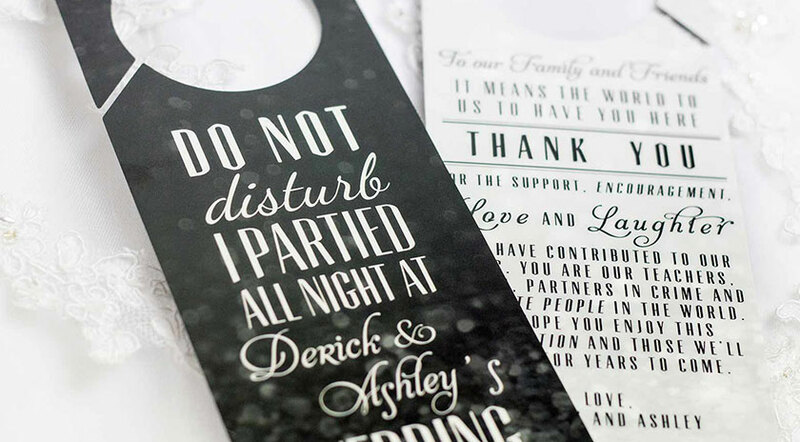 We see door hangers being used more and more for weddings as a thank you keepsake for guests. Speak to one of our Wedding Consultants today. 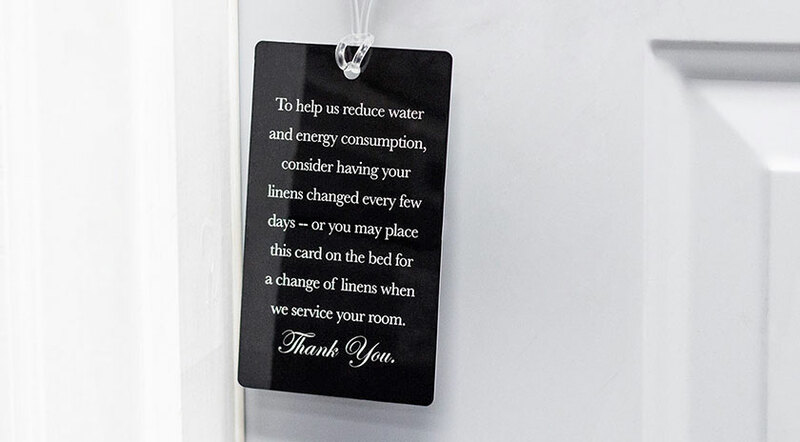 Or if you are a business offer a coupon on the door hanger to encourage guests to come back and stay with you again. Many professions rely on door to door sales for instance cable installers, lawn care, pest control, even political campaigns. Instead of wasting those precious miles, leave behind a door hanger which communicates who you are, what you do and that "I was here". 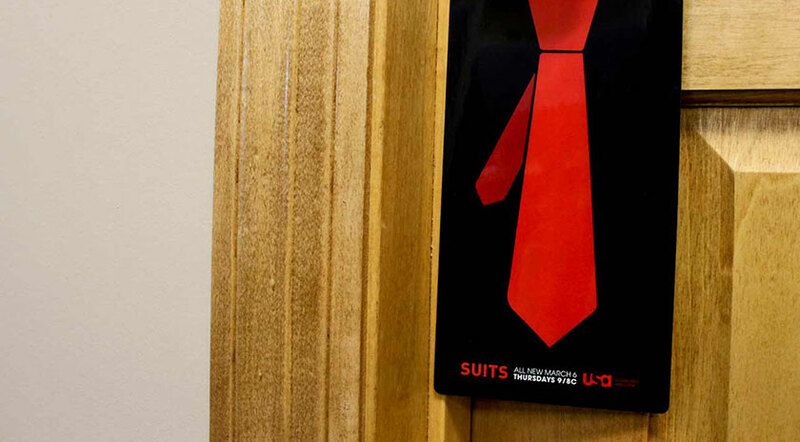 Our creative consultants can design any shape or size plastic door hangers you envision. We would love to learn more about your needs, and can't wait to show you what we come up with. 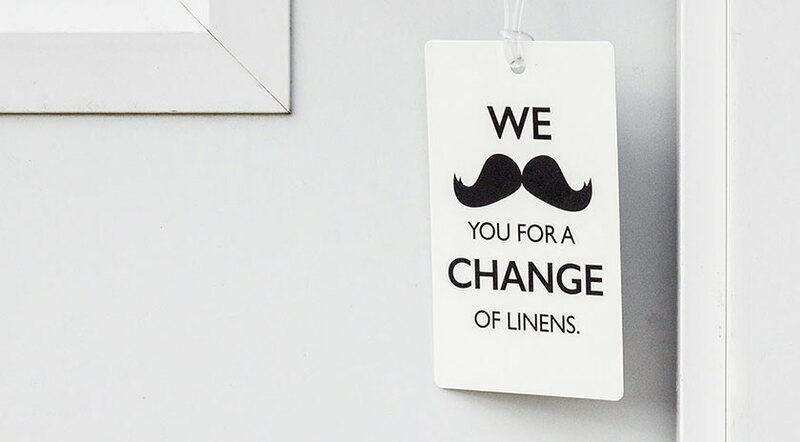 Do you need more than just door hangers for your business, speak with a consultant to learn more about special discounts when you bundle multiple products. Let’s get started on your custom door hangers.